Mirage Singh Rathore: Will the name fly with the son? Surgical strikes 2.0 have had an electrifying effect on the people of India. 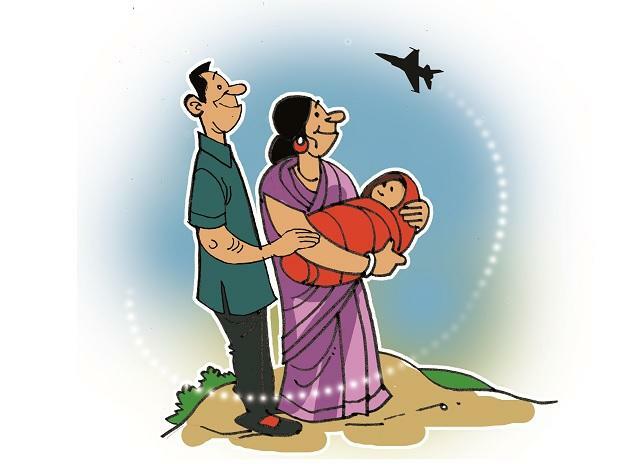 All over Uttar Pradesh, there are reports — from Eta, Etawah and Lucknow, to name just three places — of families naming their newborn children "Abhinandan", after the Indian Air Force Wing Commander who returned home after downing a Pakistani F16. And so thrilled was he, that a father in a remote village in Rajasthan named his son, born during the aerial strikes, Mirage Singh Rathore: Will the name fly with the son? Congress President Rahul Gandhi addressed a rally in Jharkhand’s Ranchi on Saturday where the leaders of Congress’ partners in the Maha-gathbandhan or grand alliance in the state shared the stage with him. Sources say while the constituents of the alliance — the Jharkhand Mukti Morcha, the Jharkhand Vikas Morcha (Prajatantrik) [JVM (P)] and the Rashtriya Janata Dal — have built consensus over 13 of the 14 parliamentary constituencies in the state, the Lok Sabha seat of Godda remains a bone of contention between the Congress and the JVM(P). The Congress’ Furqan Ansari, who contested unsuccessfully in 2014, is keen to contest again but his supporters say that his party’s state leadership is loading the dice against him. They are hopeful that Gandhi’s visit may provide them with an opportunity to settle the matter. By the time the flight carrying Indian Air Force Wing Commander Abhinandan Varthaman from Amritsar landed in Delhi, it was close to midnight and a media contingent was waiting. The presence of mediapersons caught the attention of many passers-by who, upon learning that the wait was for Abhinandan, decided to hang on for a glimpse of their ‘hero’. That crowded the exit area in the airport and a mini chaos ensued. With a few among them seemingly inebriated to beat the cold wave conditions in the city, someone dialled the police control room and cops arrived to keep things under control. But much of the wait proved futile when the authorities despatched a convoy without Abhinandan, sending everyone into the chase. Later, Abhinandan travelled to the Army Research and Referral Hospital in Dhaula Kuan with another convoy.